Lock in a great price for Hotel Mas Salvi – rated 8.7 by recent guests! Great for groups/families (just 2 of us). Beautiful, secluded property for spa retreat. Amazing place. Very good facilities inc spa pool, pool table, swimming pool with lunch by the pool, outdoor bar area, amazing walks through pine forest to the top of the hill - views incredible. Food was good especially breakfast which was all included in the price. Rooms were a great size. Good access to the coast. Basically - a very relaxing place. Very tranquil location. Extensive grounds with an excellent indoor pool. Also great outdoor pool with poolside bar. Staff very helpful and professional. Large room with excellent bathroom and bathrobes. Delicious lunch. Excellent location , beautiful and spacious hotel, lovely staff. Beautiful calm setting in nature. Short drive to medieval town of Pals. 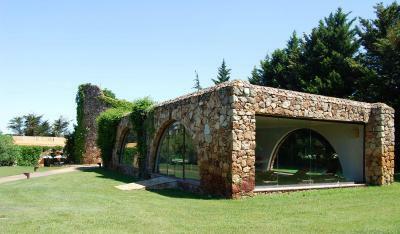 Beautiful estate with well-maintained spa facilities (swimming pools, massage, sauna, jacuzzi). Staff is pleasant and helpful. 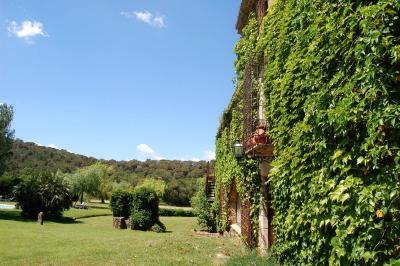 The buildings and grounds are spacious, beautiful and tranquil; an ideal location to relax. The hotel was very nice, lovely grounds and good facilities - swimming pool et. Hotel Mas Salvi This rating is a reflection of how the property compares to the industry standard when it comes to price, facilities and services available. It's based on a self-evaluation by the property. Use this rating to help choose your stay! 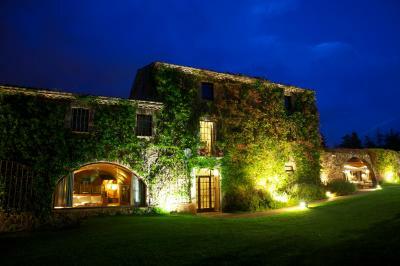 One of our top picks in Pals.Mas Salvi, a luxury hotel tucked away in the Carmany green belt in Pals, is located in the heart of the Costa Brava. 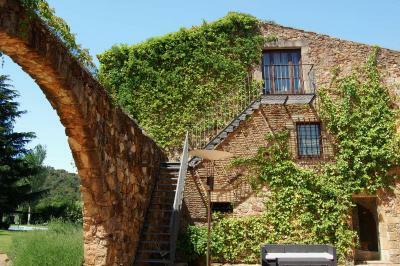 This old Manor House dating from the XVII Century has recently been restored and is equipped with all modern conveniences. It offers its guests 30 luxurious suites set in an exclusive natural area of 70,000 square yards of privately owned woodland. When would you like to stay at Hotel Mas Salvi? This suite is located in the garden area of the hotel and features a small private terrace. This spacious room features and extra large double bed and a separate seating area. In-room amenities include a mini bar, safe, free Wi-Fi, a TV and a hairdryer. House Rules Hotel Mas Salvi takes special requests – add in the next step! Hotel Mas Salvi accepts these cards and reserves the right to temporarily hold an amount prior to arrival. Off season in a small town is verrrry slow. Glad we had a car. Wifi was not always good. A coffee and tea maker in the room would have been nice to have. This once lovely hotel is now tired and dated in need of a total refurbishment and New chef. The tennis court was a disgrace , the food appalling and there was a general lack of visible management. We had our pet dog with us and paid €20 per day which was fine.We chose the hotel on the criteria of space, ground floor accommodation etc .The only issue was that to dine you were made to sit outside in the court yard. We visited in September and the weather was cool am/ pm so often we had to eat breakfast with our coats on outside while the other guests were free to use the restaurant.It was our 20th wedding anniversary during our visit - we chose to eat at the hotel so we could have a drink and not have to drive. We were the only people eating in that evening it was cold and we also had a thunder storm, we spent over £100 on a meal and fizz but were made to sit outside to dine despite the weather conditions .We specifically asked if we could be seated indoors - even the lobby would have been fine and was informed the director said no ! SO BE WARNED IF YOU TAKE A PET YOU WILL BE CHARGED FOR THE PRIVELEDGE BUT WILL BE LEFT OUT IN THE COLD !!! Internet connection in rooms is very slow. Every room has a WiFi repeater, which delivers fraction of the total bandwidth. The restaurant was disappointing - we had dinner one evening and it was not up to the standard we were expecting and nowhere the standard of the better restaurants in the area. The staff are all extremely helpful. Wifi is a bit unpredictable. Rooms are spacious with a small private courtyard. I arranged a massage through reception and it was excellent. Most rooms are not in the old house. The hotel exterior area was great. Rooms were big, all over 40 square metres.